A Re-examination of SSC CGL Tier-1 2016 for one shift i.e the Second Shift(Batch II) (4:15 p.m to 5:30 p.m) of 27.08.2016 was conducted by SSC on 27.10.2016 at various centres across the country. 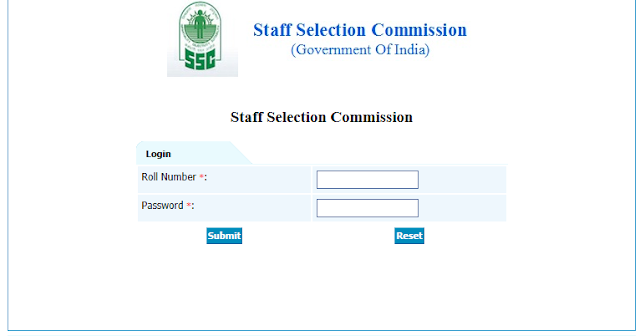 SSC has now released the answer keys for the said Re-examination. The candidates can check their answer paper by logging at http://164.100.78.55/sicpochallenge16/ using the same User ID and Password which were used during the Examination. They can submit their representation, if any, between 5.00 pm on 28.10.2016 to 5.00 pm on 31.10.2016 through on-line mode only on payment of Rs 100/- per answer. Representation received after the due date will not be entertained. You will see below-given screen. Just click on "Click Here" link as shown in below picture. You will now be redirected to the login Page. Just enter your Roll Number and Password. Once done, click on "Submit" button. That's it.